Get much more done, much faster! More aggressive, safer, cross-file, and incremental! Laugh as all recent decompilers choke on your code! Most optimizations preserve graphics quality! Two encryption modes for strings and domains! Include URLs and subdomains using wildcards! Crash decompilers and confuse memory scanners! Reworked command line interface; full-fledged Ant integration; Ant script export from GUI; native GUI for Windows, Mac, and Linux; Flex SDK identification; lightweight JSON-based project files; support for Amazon AIR apps … and the list goes on. Check out what’s new in this quick 3-minute video tour. 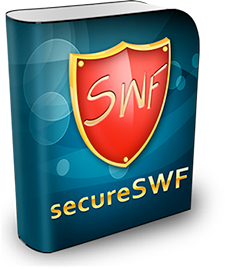 Download the demo version and take secureSWF’s 100 new features for a spin today. Let Us Know How We Did. Please. We’re Begging You. Here at Kindi we’re excited to put down the coffee cups, stretch our legs, and unleash what we think is the hands-down-best solution for protecting your Flash and Flex work. So, please take a moment to download secureSWF v4, fire it up, and tell us what you think. Or if everything’s perfect, call us anyway and chat we could use a little human contact after being shut up in our offices for the past two years. But whether we hear from you or not (which makes us sad just thinking about it), we hope you love this new version as much as we loved cooking it up for you. This entry was posted in secureSWF Updates and tagged Encrypt, Optimize, Protect, secureSWF v4. Bookmark the permalink. I am chinese,I’d want to know do you have chinese customer service?